Cassette tape, edition of 25. 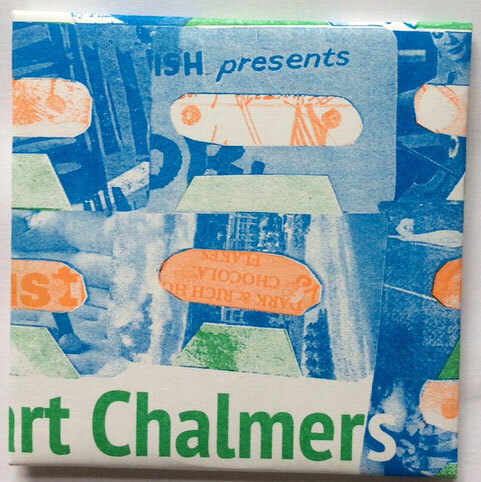 This is a disjointed and difficult mini album of tracks constructed by Stuart Chalmers from sounds created by cutting different records into pieces and re arranging them in sections. Stuart produced and edited blended and arranged all the tracks together at the end of 2015 . Watch Repair ironed out the big spikes and made it much more listenable without affecting the rhythm of the sound itself. Probably not the most listenable of releases this year but a special artefact from two outsiders coming together to make some disjointed pop hitz. 11 tracks of blissed out untitled and confusing rhythmic patterns derived from discarded new age and pop cassettes recycled by my pal Stuart Chalmers. I'm really happy that this guy is getting involved and releasing this CD with Ono ! Piccadilly Records Said . . .
Michael Holland's Ono imprint returns with another run of beautifully presented, mind expanding sounds for your listening pleasure. This time round Stuart Chalmers is at the helm, picking up where he left off on Must Die's "Loop Fantasy No. 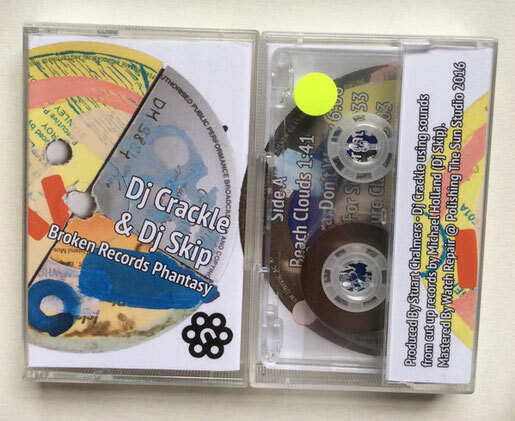 1", with 11 tracks of hazy psychedelia built out of the remnants of easy listening , new age and pop cassettes. An expert tape manipulator, Chalmers dubs a plethora of samples down to loops of various lengths, then layers the sounds into a shifting, pulsating and shimmering collage of odd grooves, backmasked melodies and avant pop. Shifting between headnodding funk, disorienting hip hop, minimalism and ambient from one track to the next, Chalmers manages to call to mind The Avalanches, Dilla, Tod Dockstader and Moon B whilst still keeping things coherent in a dreamy, nonsensical kind of way. Possibly my favourite Ono release yet, this is gonna get regular play for a long time to come. **Edition of 50 housed in hand-made, fold-out jacket** ONO follow-up that charm from Tom Boogizm with a headful of crack'd tape loop magick from the mind of Stuart Chalmers. A nimbly hacked and spliced session unspools across 11 tracks following the artist's whim from neo-classical string motifs thru Screw-style sludge to febrile, Nicholas Collins-like chops and lopped-off trip hop, plus some delectably intangible ambient pieces that just left us totally light-headed. It's fairly rare that an album can veer from serene to psychotomimetic without ever losing the thread quite like 'Loop Phantasy No.2', but I guess that's exactly what we should expect from a label such as ONO. RIYL Actress, Bellows, DJ Screw, William Basinski. SOLD OUT SORRY >>>> get in touch with Stuart on his bandcamp page for a download !